Key to this project was a seating arrangment that allowed interaction between students. 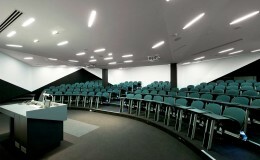 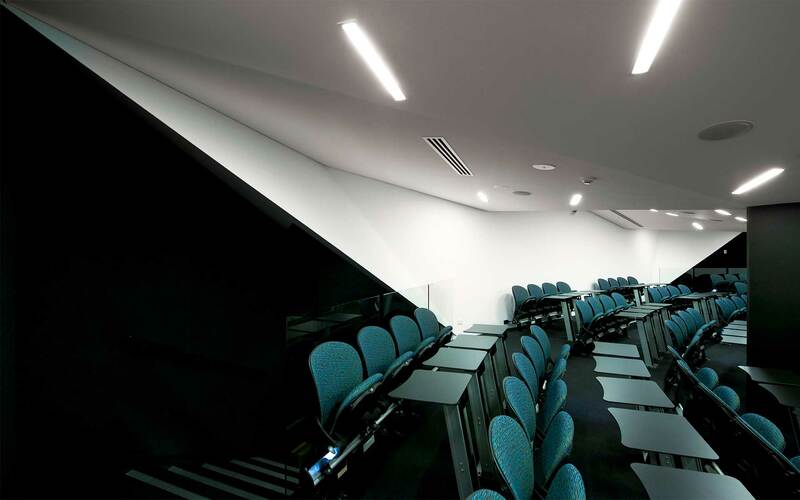 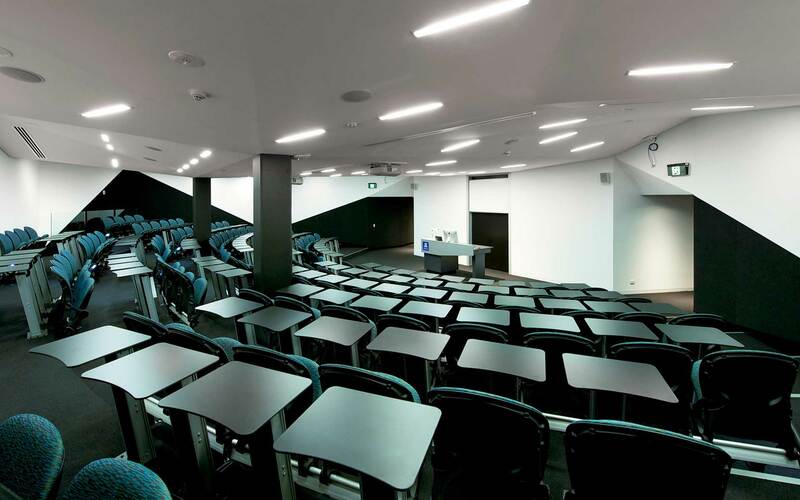 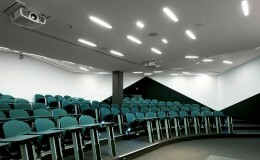 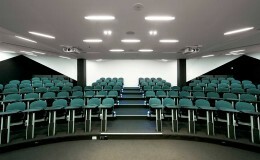 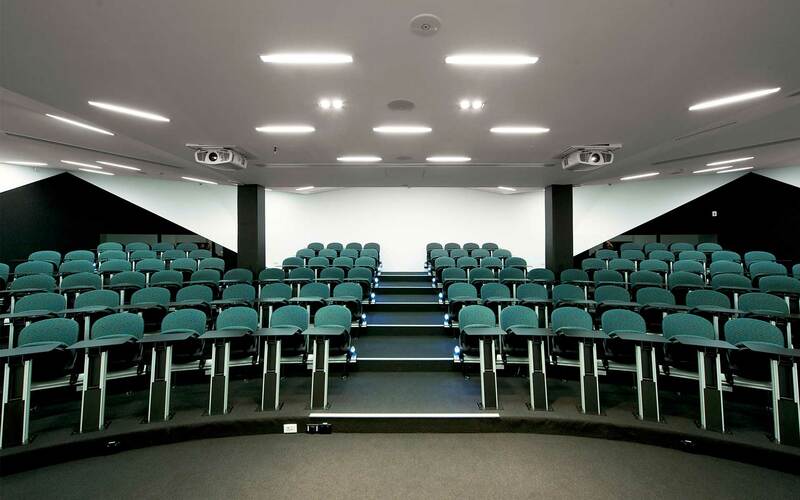 The lecture theatre contains seating for 126 students and is designed as an amphitheatre so as to allow visibility and discussion between adjacent groups of 2 to 3 collaborators. 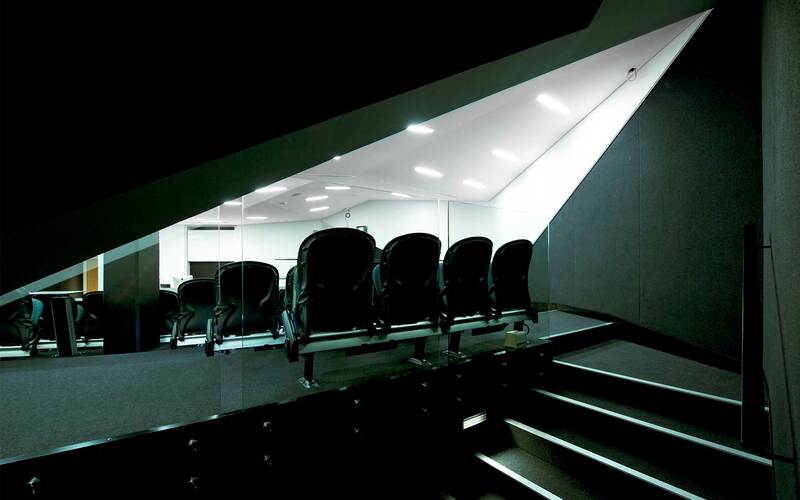 Careful consideration was given to reverberation time and acoustic clarity by the use of acoustic fabric and folded plaster walls and ceilings.